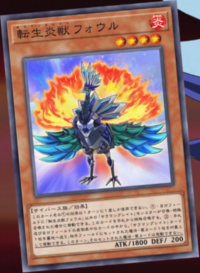 Main card page: "Salamangreat Fowl"
If a "Salamangreat" monster(s), except "Salamangreat Fowl" is Normal or Special Summoned to your field (except during the Damage Step): You can Special Summon this card from your hand. You can only use this effect of "Salamangreat Fowl" once per turn. You can send 1 "Salamangreat" card from your hand or face-up field to the GY, then target 1 Set Spell/Trap your opponent controls; that Set card cannot be activated this turn.